It's high time all you loyal readers get another masterful ECG DOT COM wallpaper for your wallpapering needs. Thus I've applied my Photoshopping skills to creating something that's equal parts beautiful and horrible. 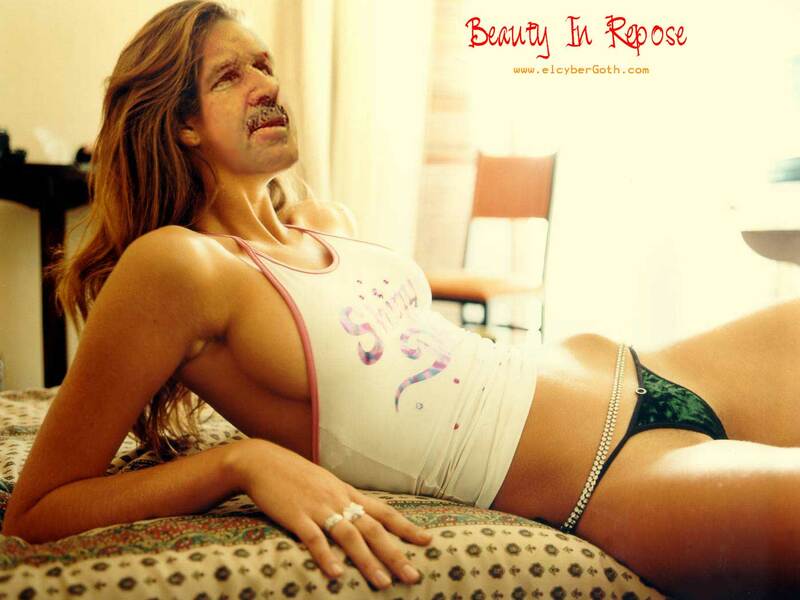 This time I've put the face of venerable football legend Mike Ditka on ultra hot swimsuit model what's-her-face. Enjoy, fellas!